Designed with a conscience, accessories by Arture are not only stunning but also 100 per cent natural and vegan. Arture’s design philosophy is rooted in eco-friendly and ethical fashion. 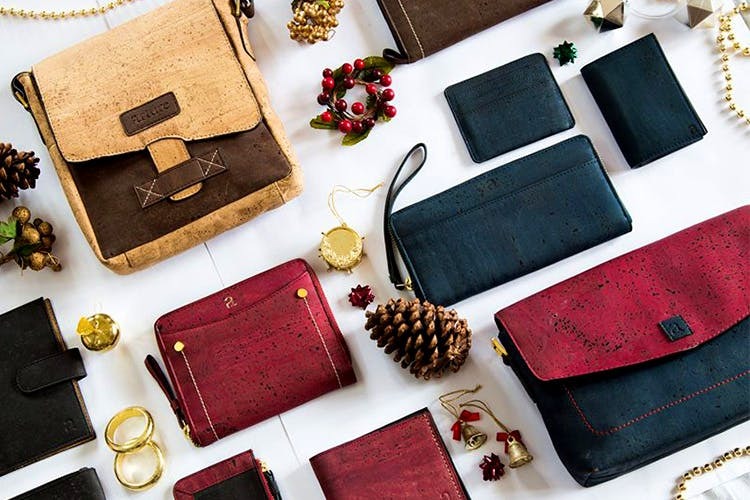 They use materials like cork for their handbags, sleeves and wallets, which makes them not only eco-friendly, but also light and durable. Cork is considered to be ‘nature’s leather’, which means no two pieces are alike. What’s great about these wallets and bags is that they are waterproof, super light, strong and also low maintenance, all you need to do is give them a light cleanse, wipe and it’s back to looking brand new. We love their travel range. The Brin travel wallet in maroon is our favourite, we just love how the cork’s texture comes through. Arture’s accessories have the look and feel of leather minus the guilt, totally natural and cruelty free. What more can you ask for? PS: Everything you buy has a 1-year warranty AND they ship worldwide!